Ice Monster Melon Colada e-juice is your opportunity to enjoy a delicious tropical blend. 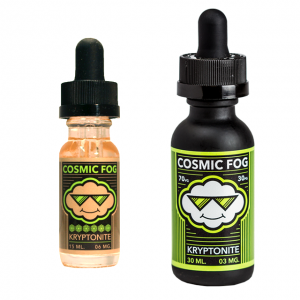 A bottle of this vape juice contains a mix of ripe pineapple, juicy melons, and coconut. Ice Monster Melon Colada e-juice is your opportunity to enjoy a delicious tropical blend. A bottle of this vape juice contains a mix of ripe pineapple, juicy melons, and coconut. These exotic fruits come together to bring you a feeling of being on a tropical island. What is more, this tropical mix is accompanied by a refreshing menthol punch. Except for nice flavor, this e-juice also provides thick vapor production. The reason for this is a 75/25 VG/PG ratio. You can get Ice Jam Monster Melon Colada in a 100ml chubby gorilla bottle. As for nicotine strength, there are several options to choose. You can select 0mg, 3mg or 6mg. In sum, if you are passionate about tropical fruit flavors infused with menthol, there is no better choice than Ice Monster Melon Colada e-juice.